Winning the Monte Carlo rally is up there as one of the great motorsport achievements. A class win is just as impressive as the overall top step of the podium as the effort is just the same from the car’s occupants and team. So why haven’t we heard more about the Abarth 124 Spider lifting its class win in the FIA R-GT Cup at the tail end of January? The promotional value of success in the Monte is undoubted and all the more so when it’s achieved in a car that doesn’t have four-wheel drive. Be in no doubt, the Abarth is an unexpected rally machine in this day and age, though its classic predecessor and namesake proved useful on the snow, gravel and tarmac of 1970s stages. Motorsport should be the hook from which Abarth hangs its sporting image and sells 124s to eager sports car enthusiasts. We know there are plenty of those in the UK, Europe, USA and other markets around the world as Mazda sells them plenty of MX-5s, a car which the 124 Abarth shares so much of its underpinnings. 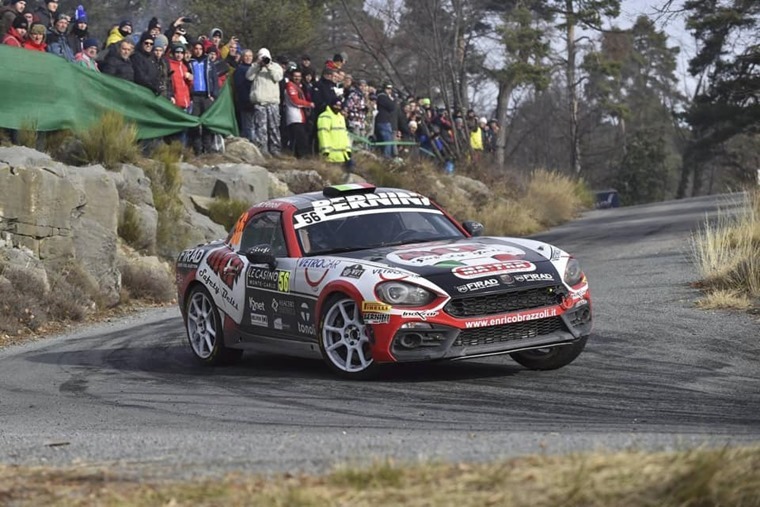 Fiat, Abarth’s parent company, seems to have lost sight of the “win on Sunday, sell on Monday” maxim that was the cornerstone of so many rally campaigns. Most recently, Citroen has garnered much press coverage and sales from the success of the DS3 in the World Rally Championship, while Toyota, Hyundai, Ford and Volkswagen among others have been quick to capitalise on any wins. Going back further, the Mini Cooper is inextricably linked with the Monte Carlo rally via its three wins and the infamous 1996 disqualification by disgruntled French organisers. If anything, that exclusion did more to raise the Mini’s profile than if it had been awarded the victory. 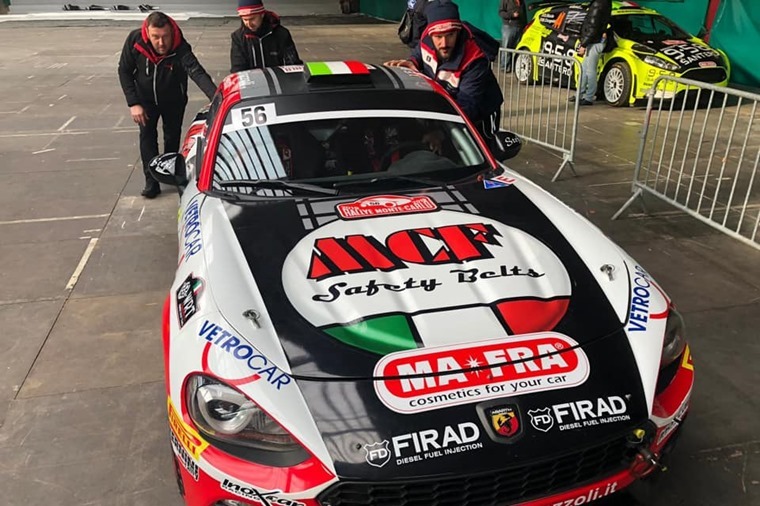 All of this makes us wonder, why Fiat isn’t shouting from the roof tops about the Abarth’s win at the hands of Enrico Brazzoli and co-driver Manuel Fenoli? Let’s face it, even their names sound exotically fast to British ears. 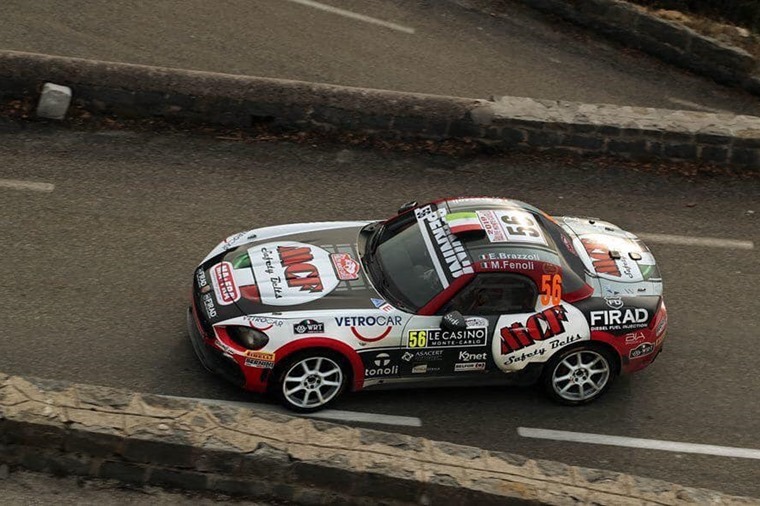 And not only did they win their class in the Monte this year, they lifted the R-GT Cup title in 2018. That sort of publicity should be writing its own headlines and adverts. 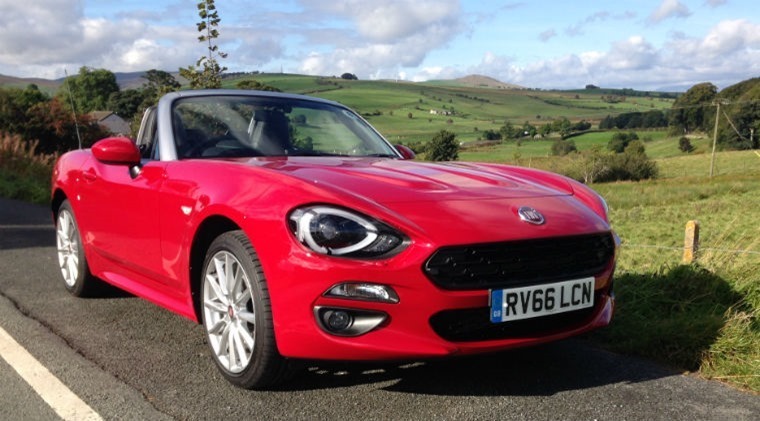 A large part of the reason Fiat may be publicity shy is the standard 124 Spider is no longer listed on its website or in its price lists in the UK. It is still there on the books in other European countries, but this could be they are yet to catch up with WLTP emissions regulations. It seems the 1.4-litre Multiair turbo engine in the standard Spider might potentially not meet the tougher new regs. The same engine is no longer offered in the Alfa Romeo Giulia or Jeep Renegade which are also Fiat products. Another possible reason is Fiat Spider sales have dropped off in many countries while the Mazda MX-5 has upped its game with the arrival of a 184hp 2.0-litre engine. Before the updated Mazda arrived last September, its maximum power at 160hp meant the 140hp Multiair conveniently split the more potent MX-5 and its 130hp 1.5-litre variant. Now, the 1.5 Mazda has 131hp for a marginal gain while the 2.0-litre model is the one to have with its Abarth-beating power and performance. None of this should undermine the Abarth Spider as a car in its own right as it’s one of the most fun packages you can park on your driveway. For starters, you get a fizzy 1.4-litre turbocharged engine with 170hp that sees the car from rest to 62mph in 6.8 seconds. While not outright fast, that’s more than enough to feel brisk and keep pace with most hot hatches. With the roof folded down, it feels a whole lot quicker too, which is the charm of this kind of sports car – you get your kicks without getting a kicking from John Law. The Italian take on the MX-5 is also, to some eyes, a prettier car and it’s a bit rarer too. That has some value to its owners who have proven to be a loyal and appreciative bunch. Yet still the Fiat Spider is no more in the UK and the Abarth is a tricky sell with its circa-£30,000 price tag putting it into competition with many more potent and premium-badged rivals. An Audi TT Roadster or Mercedes SLC come in at similar money for their entry point models, while the likes of the Lotus Elise and Caterham Seven offer a much more focused, raw experience should you want to go down that route. The Abarth treads a middle ground here that should appeal, but seems to have become lost in translation from Italian to English. That’s a shame, especially when it comes with a bona fide motorsport pedigree rather than trading on past glories. This leads us to the critical question: is it worth the Abarth 124 Spider continuing in the UK when its Spider sibling is gone and sales are relatively sparse? Abarth can take some solace from its UK registrations going up in 2018 compared to the previous year despite a difficult climate for most car makers. However, the bulk of Abarth sales come from the Fiat 500-derived models it offers, so the Spider is still left out on the fringes. This is where that link to motorsport success should and could prove so useful, especially when the Monte Carlo association still resonates with so many drivers even if they don’t know exactly what the rally is or how it works. It would certainly be a shame to lose the Abarth 124 Spider from the UK leasing market altogether when it offers a car with more chutzpah than many roadsters. It’s also a pretty car and one that’s tremendous fun to drive with a character that’s distinct from the MX-5 it shares components with. And where else can you drive a roadgoing sports car at a reasonably affordable price that has such a direct link with motorsport success and isn’t from a supercar manufacturer?